If you own a GPS pet tracker, you’ve probably wondered why it needs cell coverage. Or if it is even possible to track a pet in a very remote area, where cell coverage is unavailable. Also, why do some trackers use radio, while others use Bluetooth or even Wi-Fi? Are the ones that mix every technology better than the rest? Is there a pet tracker that doesn’t charge monthly fees and still provides accurate pet tracking? 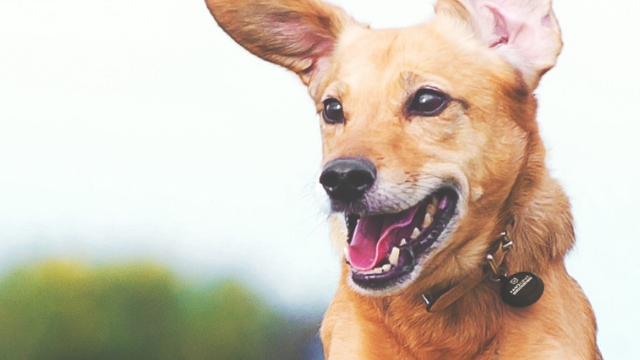 In sum, if you’ve ever wondered “how does a pet tracker work?”, we’re here to help! Understanding this will help you make the best choice (if you’re looking to buy one), or make sure you’re taking full advantage of your gadget (if you already own one). 🔖 Tip: we also advise you to use a collar tag to help prevent your pet from getting lost! As a way to circumvent the need for monthly fees, some trackers include them on the product’s initial purchase price instead. One way or another, you’re still paying for them! The pet parent attaches a module (transmitter) to their pet’s collar. Then, using cell coverage, the module sends the GPS coordinates to the pet parent’s smartphone. Usually an app is used to display the pet’s location on a map. In many cases, Wi-Fi is also used to determine the pet’s position – Wi-Fi towers nearby are used as an alternative positional reference, increasing the positional accuracy. 📋 Please bear in mind that there are two technologies being used here, each with a different purpose: GPS (to acquire the pet’s location) and cell coverage (so you can receive the coordinates and visualize the pet’s location on your smartphone). 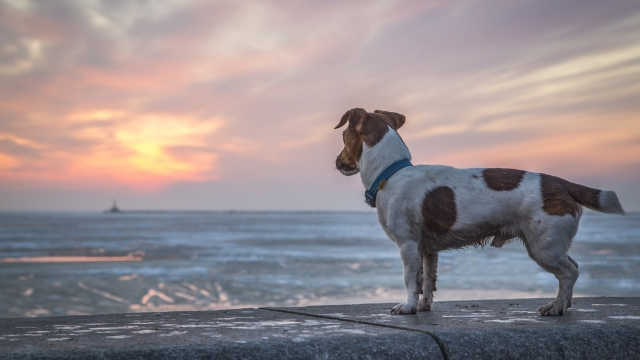 Without cell coverage, the module would still be able to acquire the GPS coordinates, but wouldn’t have a way to send them to the pet parent’s smartphone. While these also include a module to be attached to your pet’s collar, they’re usually very large and bulky, featuring an old-fashioned design (so these type of trackers are only appliable to larger dog breeds). This does have its benefits, however – including a longer battery life and the absence of monthly fees. Instead of your smartphone, a radio transceiver is used to display the pet’s location, so you have to carry it with you (which is not ideal). Garmin, as displayed above, is one of the most well-known radio trackers. The pet parent carries a radio transceiver, and attaches a module to their pet’s collar. The pet parent’s transceiver continuously sends a signal to the module attached to the pet’s collar, “asking” for its location. If the module also has a GPS chip, it will send its coordinates to the pet parent’s transceiver, which will display them on a map screen (example: Garmin Astro 430). Otherwise, the module will send its direction and distance. In this case, it’s pretty much like playing “Marco Polo”: the closer you are to the pet, the stronger the signal will be (example: the aptly named Marco Polo tracker). Since these trackers use Bluetooth technology, they have a very limited range ‎(typically less than 33 feet /10 m). This means that they’re quite efficient if you’re using them to keep track of your keys or other objects that are usually nearby. 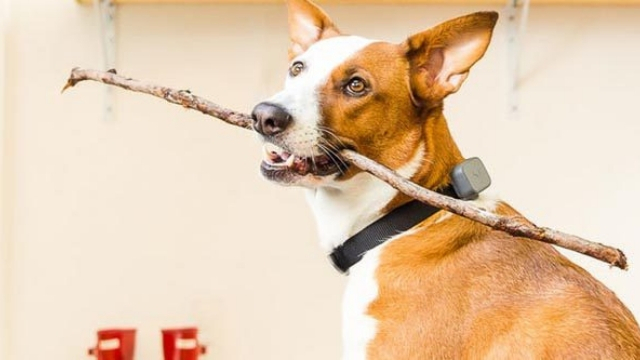 However, a pet will surpass the aforementioned distance in seconds, so pet tracking is not exactly the ideal use case here… Therefore, many of these trackers don’t focus solely on pets, but on several use cases. 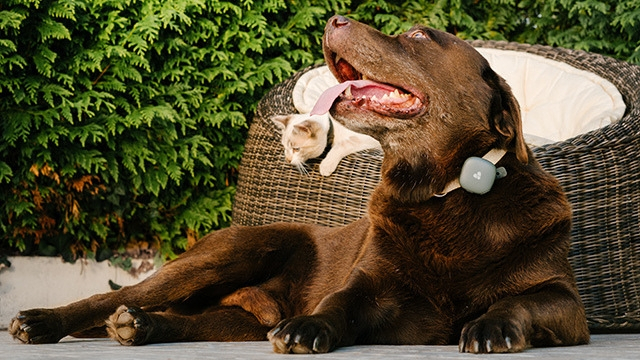 The pet parent pairs the pet’s module with their smartphone. Then, they attach the module to the pet’s collar. 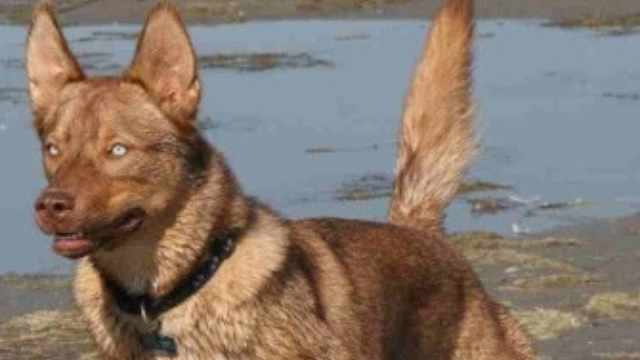 An smartphone app points out the person’s distance and direction to where the pet is. For this effect, a “crowd network” may also be used – if a different user of the same tracker is near your pet, they can also acquire your pet’s position and automatically forward the data to you. 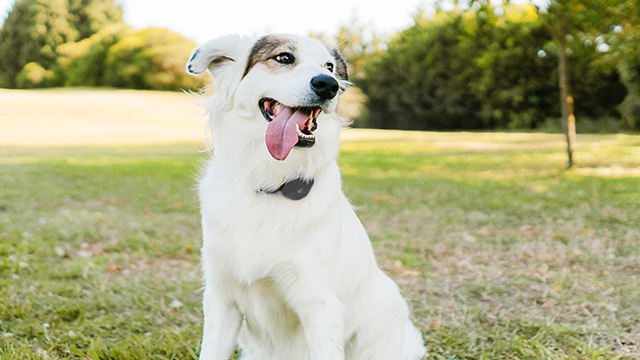 As the name suggets, these trackers mix different existing technologies to provide innovative new ways to track your pet. The most well-known example is Findster Duo+, which introduces a second module as a way to avoid cellular communication, and thus avoiding the payment of monthly fees. The pet wears a small module attached to their collar. The module includes a GPS chip, allowing it to acquire a position by communicating with GPS satellites. The pet module then sends its coordinates to a second module (carried by the pet parent) via MAZE technology – a radio-based proprietary technology developed exclusively by Findster. 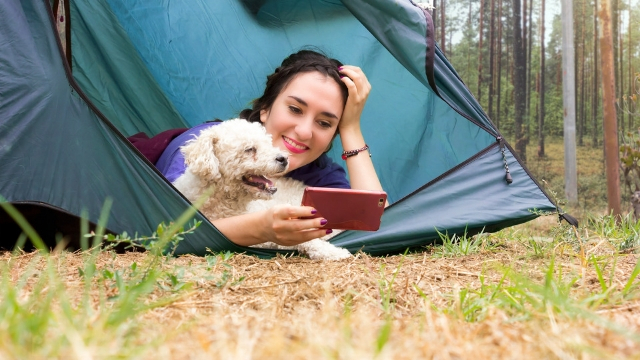 The second module serves as a gateway between the pet module and the pet parent’s smartphone, forwarding the GPS data acquired by the pet module to the smartphone without the need for a SIM card or cellular coverage (and consequently, without requiring the payment of monthly fees). The pet parent can track the pet’s location on a map in real time, using an app on their smartphone. 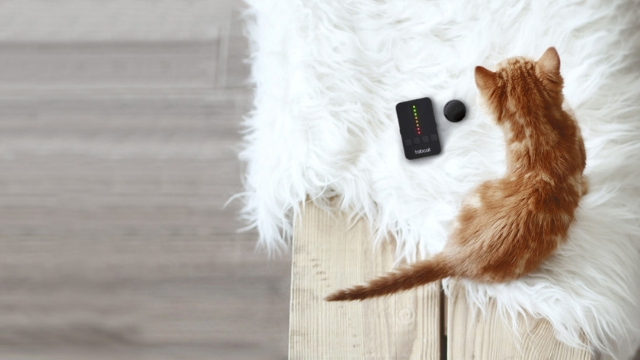 📋 Similarly to cellular trackers, Findster Duo+ uses real GPS, but instead of using cellular service to connect the pet module to the smartphone, it uses an alternative technology called MAZE. Besides eliminating the need for monthly fees, this technology also allows true real-time tracking – in comparison with cellular trackers, Findster Duo+ has a much higher refresh rate (~10 seconds instead of 3 to 5 minutes).